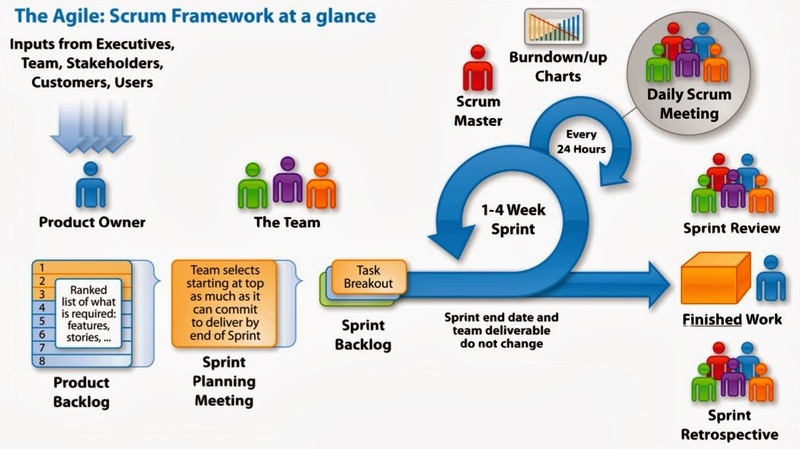 Why Scrum is required these days ? 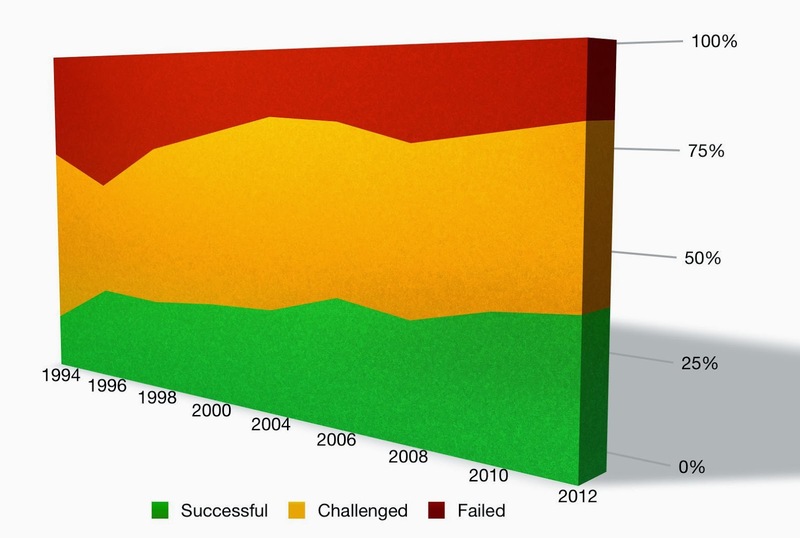 Studies that demonstrate project success rates over a decade. Why is Scrum a huge competitive advantage ? I am proud that the Scrum Alliance editorial team reviewed, approved and published this article on their web site, originally released in October 2015. 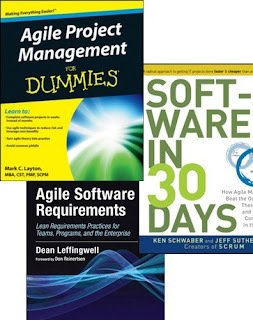 I am re-publishing a few articles previously published on the Scrum Alliance site, here on my blog because I will soon begin publishing more articles on Scrum expanding on the ideas in these articles and covering new ones. The software markets move FAST !!! Especially mobile, online services and cloud software. Even the conventional desktop software market that existed for years has changed dramatically due to online app stores. So you need to move fast too. And that means fully embracing Agile principles and implementing the Scrum framework. And go pure Scrum. Don’t do it half way, or some bazaar hybrid of old school waterfall and Scrum. Going truly Agile has some enormous benefits and beats waterfall, hybrids and chaotic ad hoc methods hands down. 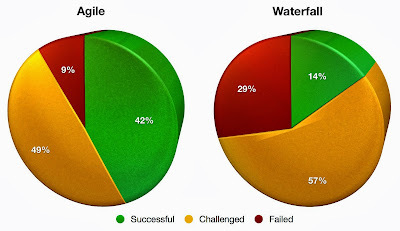 One widely cited set of surveys used to show that Agile beats waterfall is published in the Standish Group CHAOS Manifesto (link to a Google search). You’ll find tons of references to data from these reports and some copies of the report out there too. In the Standish Group CHAOS Manifesto published in 2011 it shows waterfall projects have 3 times the failure rate - 29% vs 9%. And a third the success rate - 14% vs 42%. The reports over time show a trend in this direction, so there’s no doubt that Agile success rates continue to increase. The graph below shows the details. 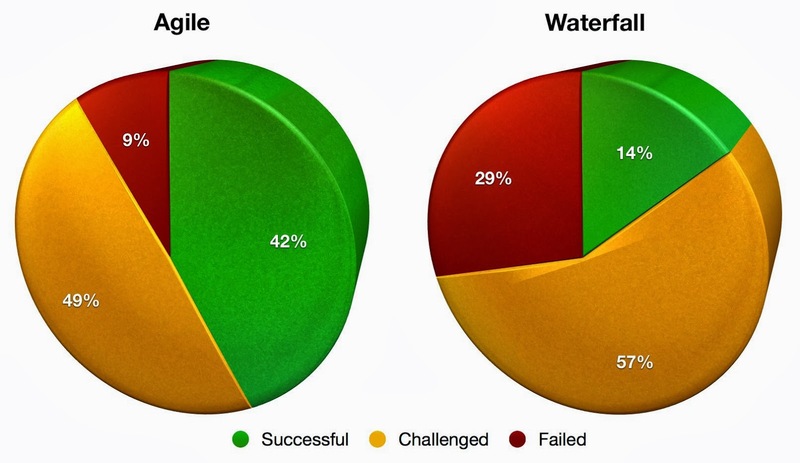 The Standish Group measured CHAOS resolution results of both waterfall and agile projects from 2002 to 2010. The survey results from the Standish Group CHAOS Manifesto reports include all types of projects, and so it is heavily weighted towards projects managed using waterfall methods due to the extensive use of waterfall over this long period of time. By contrast, waterfall and hybrid methods are much much less standardized and although they share some commonalities, every waterfall and hybrid organization has their own non-standard spin on it. This proprietary nature costs huge amounts of money in learning curves, training, speed, and handicaps your ability to compete. Scrum training classes are available almost literally everywhere, all around the world. Because it is standardized by the ScrumAlliance you know what you’re getting. And by not “re-inventing the wheel” you save yourself a ton of money, time and hassle. Standardization with Scrum brings all kinds of huge advantages by being able to hire people who have an industry standard set of Scrum skills, and using well established Scrum standards to train your existing people who don’t already have Scrum skills. And with standardization beings scalability and speed. ScrumAlliance has Certified Scrum Trainers (CST) and classes all over the place and you can find and schedule training online in a snap. And if you need to train and bunch of people at once, you can hire a CST to come on site and conduct training classes in your offices. The ScrumAlliance manages a number of certifications that you can use to ensure consistent skill sets for all levels of Scrum professionals. From team managers, to product managers, to developers and engineers of all types, and more. A robust and extremely well established set of certifications and a huge world wide community of people, is a giant pot of gold that you can tap in to. But there’s more... it shows that your new candidate has made an investment in something critical to your success and theirs. And chances are that they might have some painful ScrumBut or Scrummerfall / WaterScrum experience that can help you. And if you are for real and serious about Scrum and Agile, that will make your company more attractive to the best of the best. And competition for talent is fierce so you need every advantage you can get.